Big thanks to Grant Lukins for providing the lower grade report from Goulburn. Saturday saw Threes and Fours head to Goulburn for their one long(ish) distance road trip for this year. With a forecast high of 9 degrees for the day it was never going to be a scorcher. Fours tried to beat back the cold with some red hot play as per usual. A great turn out from the boys saw good numbers, with the usual stalwarts running amok. This was highlighted by some standouts such as Ethan Brazels barnstorming imitation of a new born giraffe, Steve Neovani’s mid flip pickup on the fly, and a dynamic and devastating pair of tries from Grant Lukins under the posts. Apart from club legend Andrew “Chewy” Dickson being chased down by the oldest bloke on the field and Liam Warcaba sustaining an ankle injury, fours were largely untroubled and ran out 48 nil victors to continue their unbeaten streak. With players such as Andrew Talina and Tim Macathur returning to the fold threes were another strong touring team. They faced last years premiers who, although not traveling well this season, are always bolstered at home. It was a cold wet arm wrestle with Vikings just maintaining a lead throughout. Goulburn were helped however by our reduction to 14 when in spite of his assertion last week that the refs really like him now, Chewy was sent for a little break. They slotted a field goal to stay in touch and went to the second half at 7 – 3. Now in almost snow like conditions Vikings rode their way home on the back of a hard working pack led by Both Dan and Steve Solofa with Sam Barlow also adding value. Getting there with a final score line of 17 – 8 was good enough. The less said about the bus trip home the better but know that there were very few on board that fit the “Pretty Women” theme. Cheers to those involved with getting us there and back especially coach driver Robbie and financial organisers Slater and Waffles. Colts kicked off the day for Tuggeranong at ANU North under the watchful eye of fill-in coach Gareth Clouston, with regular mentor Trendy chaperoning our valued sponsors on their trip to Brisbane. The side was again fielding a changed line-up, with a number of players filling in up the grades and helping out 3s and 4s on their trip to Goulburn. Any concerns about combinations were quickly put to bed with the side scoring some excellent tries, with Riley Turner cashing in with a hat-trick. Whilst the side was guilty of not finishing off good passages, they did show glimpses of impressive phase play with the forward pack deserving of praise for delivering good quality ball with Luke ‘Jackie’ Corcoran hardest amongst the workers. Whilst the final score of 50-13 was a fair reflection of the contest, the side will need to be more clinical leading into finals. 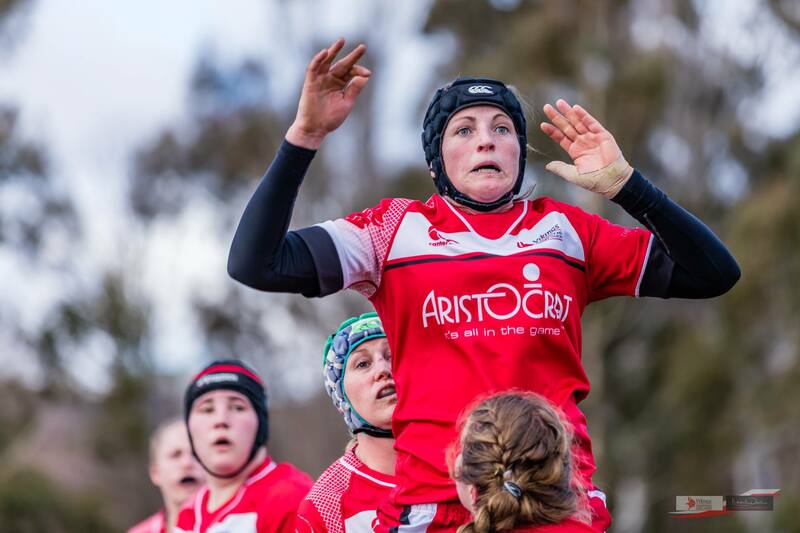 Thanks to Peta Leddy for the following wrap from field 2 at ANU north: the Viqueens showed true team spirit on the weekends game against Uni- Norths with a tough first half seeing the two teams drawn at 7 all at half time. After the half time talk from Reedy, who was lucky enough to look after the women in Ogre’s absence, the girls came out firing with an impressive 50-7 win. The women have many key players out with injuries and away for other commitments but they all stuck together and stepped up for the challenge. We had forwards Shellie Milward and Kate Brown step out into the back line and really showed us what it meant to “run it straight”. Our forwards as per usual played out of their skins, giving the more inexperienced girls an opportunity to learn and display some of their own talents. All in all the girls had a tough fight but came in all guns firing and got themselves the win. The women and the club are very proud of Kate Brown who got the call of a lifetime for her birthday week. She will be heading over the Ireland to represent Australia in 15’s at the Women’s Rugby World Cup in August. Second grade were pulled out of a fire that they’d started by a late penalty from Travis Pula, winning 37-36 in a contest where the lead changed hands a number of times. Whilst the side was undeniably excellent in patches, they were guilty of switching off for periods which allowed Uni to stay well and truly in the game and lead with minimal time left on the clock. A deserved try to Tom Carney adjacent to the posts should have been enough to lock it up late, however Travvy had an eye for the dramatic and opted to miss the kick and back his sides ability to get back into decent territory and force a penalty. In addition to Carnage the side was well served by young guns Field, Tikitau and Ikitau and older pop-gun Gubler. First grade secured a pleasing 34-5 victory over a dogged opponent in a contest which should set them up well for 2 matches against sides needing wins to ensure finals berths. The side scored some excellent team tries from decent passages of attack, and could probably have had a couple more with slightly more clinical execution. The ability of the side to withstand long periods of pressure in defence was also encouraging leading into the business end of the season, including the separate periods when Mr Charisma Sua Tonga and Ben Hyne were lost to the sin bin. Both players made full use of their rest periods and were excellent in their 70 minutes on the park, whilst Ryan Lonergan looked sharp on debut at halfback. All men’s grades have Wests at Jamison this weekend, while the Viqueens have the weekend off.